Deborah Hazlett as Barbara Fordham and Linda Thorson as Violet Weston. Everyman Theatre’s production of August: Osage County, written by Tracy Letts is a fitting and triumphant inauguration of the company’s new Fayette Street stage. Under the strong direction of Managing Director Vincent Lancisi, this Baltimore premiere of the award-winning August bodes well for the future of the Everyman Company. 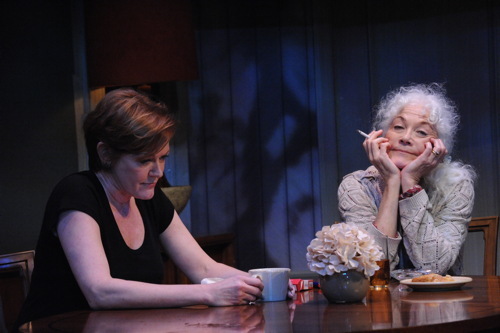 Letts’ award-winning play centers around Violet Weston (played by Linda Thorson), the harsh, pill-popping matriarch of a peculiar family based out of Oklahoma in 2007. Her alcoholic husband Beverly Weston (Carl Schurr) hires a young Native American woman for household assistance and then disappears, thus drawing to the homestead Violet’s sister and three daughters (and their families). 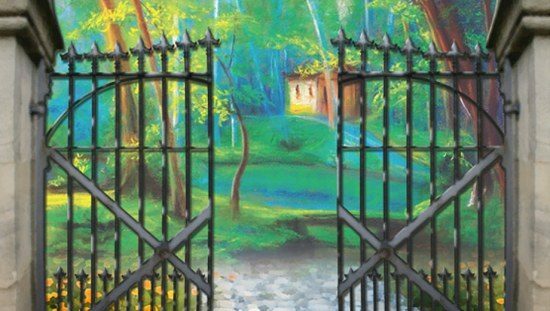 Each new arrival brings new layers and perspectives to the mystery surrounding Beverly’s disappearance and how the Weston family functions, or more aptly, dysfunctions. With the entire family under one roof, Violet’s need for “truth telling” overflows, and raw emotions float to the surface. Each family member is forced to deal with an array of problems like adultery, suicide, drug use and abuse, stereotypical family positions and responsibilities, and death. There are so many more dark issues this family must deal with, but the Westons do it with humor and heart, so the need to cry for this family is continually balanced by a hearty laugh. Thorson dives aggressively into the role of Violet and does a terrific job riding the waves from an over-the-top druggy to the lows of a sad old woman grieving about her childhood. Deborah Hazlett as Violet’s oldest daughter Barbara Fordham easily portrays a dejected woman forced to look at the life choices she made and what she has become. Overall, August is a riveting, thought-provoking ride. August first opened in Chicago in 2007 and then moved to Broadway in 2008. 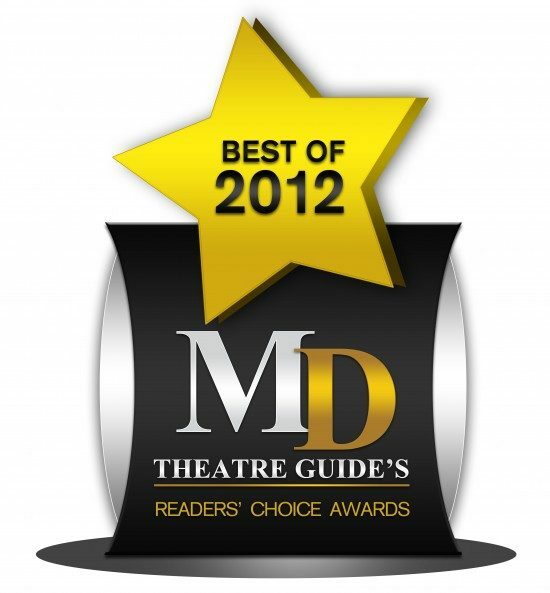 In that year, the script won the Pulitzer Prize, and the New York production won every major award for Best New Play, including the Tony Award. A film version is scheduled for release later this year starring Meryl Streep and Julia Roberts. The newly renovated playhouse at 315 West Fayette Street has a long and storied history. It was first built in 1911 as a Vaudeville theater named the Empire Theatre and later became the burlesque Palace Theatre before being converted into the Palace Parking Garage in 1937. In 1947, it reopened as the Town Theatre, showing motion pictures until finally closing in 1990. 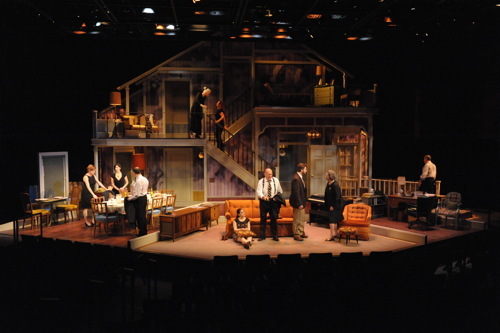 The set of August: Osage County. Coincidentally, 1990 also marked the founding of the Everyman Theatre Company by Lancisi. He arrived in Baltimore fresh from earning his MFA at Catholic University in Washington and armed with a vision of a theater troupe designed around the intimate link between actor and audience. The company’s relocation from its Charles Street stage is the result of over six years of planning and work. The new theater space is well designed and enhances the audience’s experience in many ways. The stage is wide, and its center extends invitingly into the audience. Sightlines and sound projection are excellent. The seats are sturdy and comfortable, but don’t expect to slump down into them. They seem likely designed to keep the audience on the edge of their seats unawares. The multiple aisles flow surprisingly well, but the lobby space feels a bit cramped at intermission, so consider escaping upstairs to the mezzanine lounge. Running Time: Three and a half hours with two 10-minute intermissions. 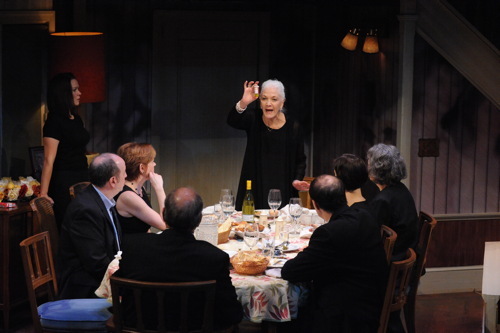 August: Osage County plays through February 17, 2013 at Everyman Theatre, 315 West Fayette Street, Baltimore, MD. For tickets call the box office at 410-752-2208 or click here.